All orders qualify for free worldwide shipping. Orders of 10 movies or more with overseas addresses will be sent as discs and sleeves only (you will need to supply your own cases). If you wish to order a different amount of films to these options then please go to the Contact Us page and submit your request via the enquiry form. We will gladly give you a quote and send a PayPal invoice or payment link if required. Are you looking for something a little different on dvd this Christmas? The films below are quite rare yet would make the perfect Christmas gift as a stocking filler. Many old and rare Christmas movies never made it to dvd, such as Tommy Steele's iconic Quincy's Quest. 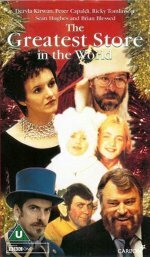 You may remember many of the Christmas movies from your own childhood. All of these films can be combined using one of the deals above. In addition if there is a rare Christmas movie you are looking for then please use the form on the Contact Us page and we'll be glad to help. 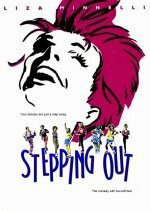 Liza Minnelli in a role that contains definite shades of Cabaret's Sally Bowles as a Broadway hoofer attempting to transform a bunch of near-hopeless amateurs into a crack dancing troupe. All stereotypes are firmly in place, including Julie Walters as a germ-obsessed housewife and Shelley Winters as the cantankerous pianist, who rolls her eyes at every missed step. What you expect is precisely what you get from Gilbert, but, despite its sheer obviousness, this has pockets of great fun. Prue is born with a "hare lip" and is outcast from birth. The people in her village accept her somewhat but always fear that she is "from the Devil's smithy" and are quick to turn on her. Especially when a lot of bad luck befalls her family. 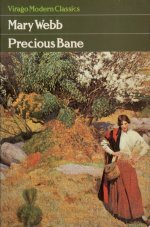 She is strong and courageous but shies away from Kester Woodseaves, a traveling weaver who catches her eye. Partly because she fears rejection and also because she thinks he is so virile that he should have a wife who is as lovely as a lily. Kester is a modern man who does not believe in the superstitions of the time and he speaks his mind and follows his heart. A perfect Christmas movie! This is an amazing BBC made-for-tv movie the whole family will enjoy year after year. Geraldine and her two daughters, Livvie and Angeline, are living rough on the streets on London. When their van blows up, they must find an alternitive place to stay. At first, they live in temporary housing, but the conditions are unbearable. Geraldine reacts quickly and the family decides to take up residence in Scottley's, the best department store in London. Read more.. It's the night before Christmas, and all toy store rejects are due to be tossed into the furnace. This includes Quincy, a most lifelike doll. In a last ditch effort to save himself and his "unwanted" chums from incineration, Quincy goes on a long and perilous journey in search of the only one who can save them: Santa Claus. Stars Tommy Steele and Patsy Kensit. Read more..
Nadia  [DVD] - Save £5! Leslie Weiner plays the part of the young Nadia Comaneci, discovered at the age of five by Bela Karolyi who scouted schools looking for young Romanian girls to form a new gymnastics club. 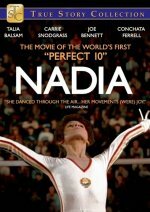 With his guidance he takes Nadia to the 1976 Montreal Olympics where she becomes the first gymnast in history to score the perfect 10. The performances are brilliant in this originally made-for-tv movie which was made just after Nadia retired from the international spotlight.